The Blinker circuit builds a free-running multivibrator that combines PNP transistor switching with a Capacitor-Resistor (CR) discharge circuit to create a two blinking lights whose blink rate can be changed by changing the capacitor size. Students can clearly see how capacitors discharge at different rates or can use an oscilloscope to track the discharge rates directly. 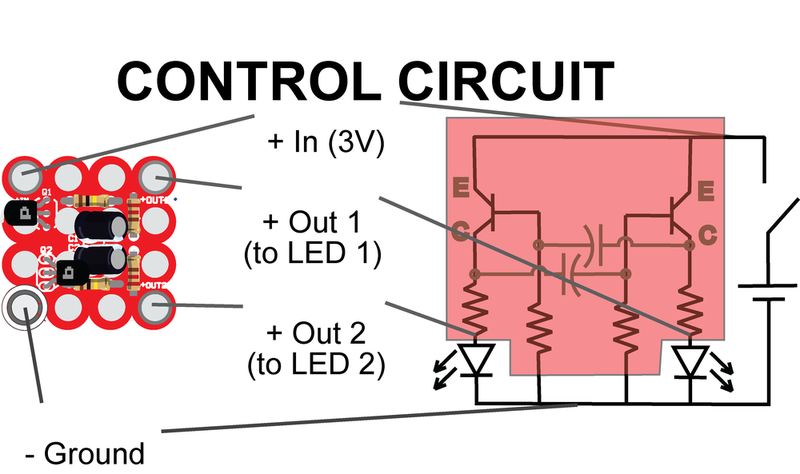 What does the Blinker circuit look like? Change the size of the capacitor to see how it affects the blink rate. Blinker is also available as a pre-soldered kit.